Stock market today, September 23, 2014: The S&P 500 saw its biggest drop since Aug. 5 as U.S. markets pulled back on Monday amid poor data in the U.S. housing market and ongoing concerns about manufacturing levels in China. According to reports, China's finance minister said the country does not plan to increase stimulus efforts in the near term. This creates a number of investor concerns after China released the nation's monthly manufacturing index this morning. Yesterday, silver prices hit a four-year low, while gold prices broke a four-session losing streak. 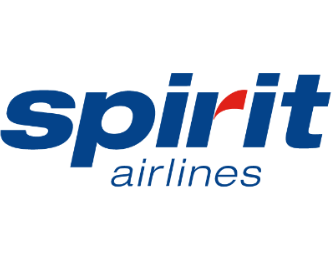 Taking Off: Shares of discount airliner Spirit Airlines Inc. (Nasdaq: SAVE) are back in the green after falling more than 4% yesterday. The company, which charges add-on fees to minimize travel costs, announced plans to increase baggage fees by $2 for checked bags during the holiday travel season. Passengers could pay up to $102 per bag if they check in and pay at the airport on the day of travel. If flying Spirit, it's best to pack light and purchase tickets and baggage fees online, weeks before your travel plans. The announcement came on the same day that the Bureau of Transportation Statistics announced that major U.S. airlines earned $899.5 million on checked-bag fees in the second quarter of 2014, a 3% jump from last year. Merger Mania: Botox manufacturer Allergan Inc. (NYSE: AGN) rejected a massive bid from pharmaceutical company Actavis Plc. (NYSE: ACT), according to The Wall Street Journal. The report says that Allergan is poised to announce its acquisition of Salix Pharmaceuticals Ltd. (Nasdaq: SLXP), which could cost nearly $10 billion. Allergan has been aggressively attempting to avoid a $53 billion hostile takeover from its rival Valeant Pharmaceuticals International Inc. (NYSE: VRX). Shares of Salix were up more than 9% in pre-market hours. Another Deal on Tap: In a deal that could create a rival to Canada's Potash Corp. of Saskatchewan (USA) (NYSE: POT) in the international fertilizer market, Norway's Yara International ASA (OTCMKTS ADR: YARIY) confirmed it is in talks with Illinois-based CF Industries Holdings Inc. (NYSE: CF) about a possible merger that could be worth more than $27 billion.